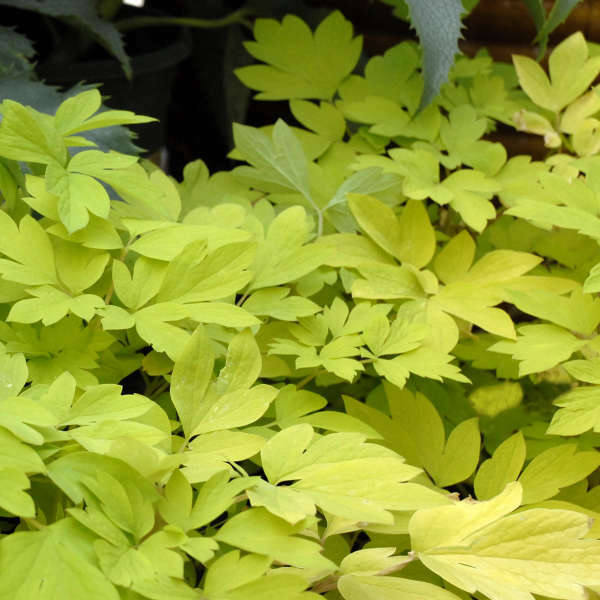 Dicentra spectabilis 'Gold Heart' | Walters Gardens, Inc.
Feed 100 - 150 ppm N at each watering. 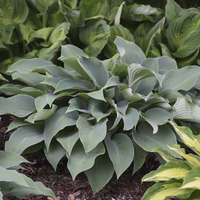 Provide 8-10 weeks of cold temperatures below 40° F.
Downy mildew, Fusarium wilt, powdery mildew, rust, Sclerotium and Verticillium wilt that may occasionally be observed. Aphids, caterpillars, fungus gnat larva, slugs, spider mites, thrips and whiteflies commonly feed on dicentra. 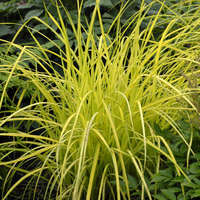 Plant bare root plants in late winter to spring. 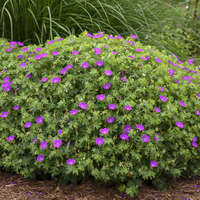 Small plugs are best planted in late summer and bulked before vernalization. 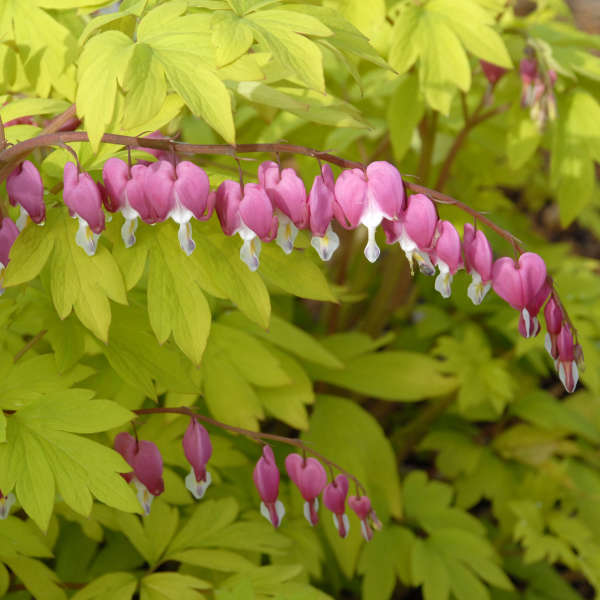 Most dicentra prefer moderate moisture. Dicentra 'Fire Island' prefers to be slightly moist. Eyes slightly below the soil line. 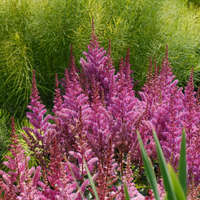 If height control is required, daminozide (B-Nine or Dazide) is effective at reducing elongation. One to two applications of 2,500 ppm should provide adequate height control. Dicentra prefer moderate shade in production. Dicentra 'Fire Island' prefers full sun. 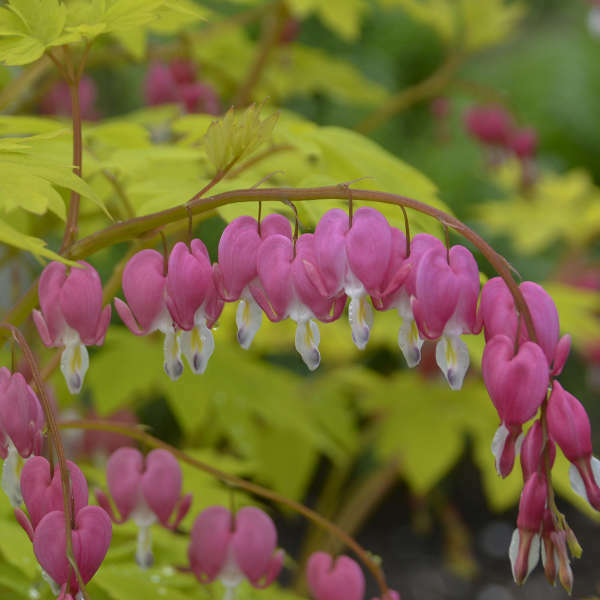 Take note that Dicentra 'Fire Island' requires different growing conditions than Dicentra spectabilis types. 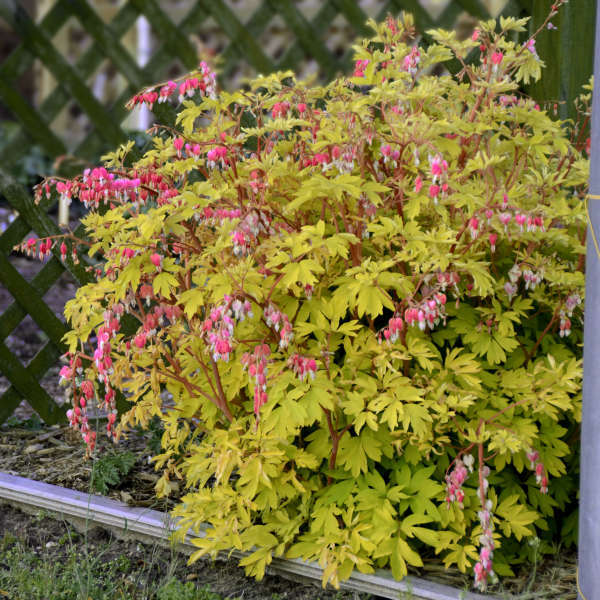 Dicentra 'Fire Island' should be potted in no larger than a trade one gallon container due to it's compact size.